How is appeal scheduling done? The Immigration Appeal Division (IAD) presides over immigration appeals made by Canadian permanent residents and citizens, such as sponsorship appeals, residency appeals, and removal order appeals. After the appeal has been filed, you will get a Notice to Appear by regular mail for the scheduling conference, also called Assignment Court. At the scheduling conference, the IAD Member will ask several questions to determine if you are ready for the appeal hearing. You will then be given a date and time for the hearing based on the IAD calendar. The IAD may also contact counsel of record directly to set up a hearing. As of January 2018, the IAD dropped the old scheduling practice where it faxed or called counsel directly. It will now be emailing counsel with the proposed date of the appeal hearing or the ADR (Alternative Dispute Resolution) conference. If counsel is not available on the proposed date, they can give an alternative date within 2 business days. These rules apply for immigration attorneys, immigration consultants, Minister’s counsel, notaries, and paralegals. The hearing will be done at the IRB (Immigration and Refugee Board of Canada) premises, given that IAD (Immigration Appeal Division) is a division of IRB. The IRB is an independent administrative tribunal. There are several IRB regional offices across the country. The appeal will be heard and decided by a judge of the IAD, referred to as an IAD Member. The IAD Member will consider your evidence and that of the Minister’s counsel, including documentary evidence and oral testimony. Who is allowed into the appeal hearing? Other than the IAD Member, the appellant, the appellant’s lawyer, and the Minister’s counsel, witnesses may also form part of the hearing. Interpreters are provided by the state should you or your witnesses require them. IRB rules also allow members of the public, including the press, to be present at IAD appeal hearings. Can I hire a lawyer to represent me during the appeal hearing? While you can represent yourself in an appeal hearing, if you are serious about winning your case, it is highly advisable to find experienced legal counsel to represent you. At the Law Offices of Matthew Jeffery, we’ve been representing clients at the IAD for many years now. Other than the obvious advantage of convenience, hiring our legal team also increases your chances of winning the appeal since our lawyers have the experience, training, and contacts necessary to properly handle the appeal. 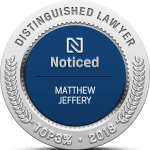 At Matthew Jeffery Law Office, we will help you gather the relevant evidence and file the same within the strict timelines (20 days before the hearing). Under an IAD regulation that came into effect in 2004, if you decide to hire a lawyer for the appeal hearing, he/she must be in good standing at the ICCRC (Immigration Consultants of Canada Regulatory Council), Chambre des notaires du Québec, or a provincial law society. Mr. Jeffery is a member of the Law Society of Ontario, which is a provincial law society. 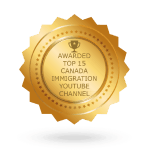 He is a Certified as Immigration Law Specialist by the Law Society, which is a special designation for highly experienced lawyers. 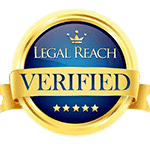 Other than Mr. Jeffery, all of our legal team are licensed to practice in Ontario. What happens if I or my lawyer cannot make it to the appeal hearing? If for unavoidable circumstances, you or your lawyer are unable to appear on the date of the appeal hearing, you can make an application in writing to have the date and/or time changed. The IAD Member will consider the reasons before deciding if the hearing should be rescheduled. This is called adjournment or postponement. A copy of the written application must also be provided to the Minister’s counsel and to the IAD registry office. You must also give a statement of when you provided the written application to the Minister’s counsel to the registry office. You must provide at least 6 new dates that the IAD Member can choose from. Contact the IAD registry office to synchronize the scheduling. Note that your appeal could be dismissed if you do not appear without providing any notice or explanation to the IAD. Note that some appeals have a strong chance of success while others have very little – it is only an assessment that will help you determine if you should go forward with the appeal. Call us today at (416) 944-3267 or toll-FREE at 866-886-8014 to get an appeal assessment from our immigration appeals lawyer Toronto.